I take great pride in the way we manage our dealership and want to be a part of the community, not just another new and used car dealer. We firmly believe family is defined by more than blood and last names. Each customer who enters our doors is family and deserves the same respect and treatment given family members. Our foundational principle in doing business is, “Transparency in everything we do.” We want to show you how to buy a car. So, using Kelly Blue Book Instant Cash Offer stations in our showroom, we allow our customers appraise their own trade. Even if you just want to know what your car is worth in today’s market, stop into the dealership; these stations are available to you any time during regular business hours. The folks that work here at Boerne Dodge Chrysler Jeep Ram are from here — we are truly your neighbors. We treat every customer the way we would want our very own families treated, with respect. We know the Texas Hill Country and the people that live in it, and we love them both. Stop by; grab a cup of coffee. My door is always open…. Seriously, come in anytime! The technicians at Boerne Dodge Chrysler Jeep Ram are the most highly trained in the San Antonio area. We have technicians who have completed every, single training program that Chrysler offers and have gone on to receive their ASE certifications, as well. We offer a service shuttle program and can facilitate rental cars from the local Enterprise Car Rental, which is just a couple hundred yards down the road. 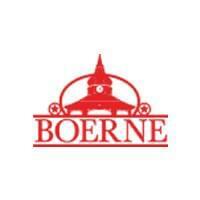 Our dealership has been serving Boerne, Texas, and the surrounding areas for many years now. We strive to go the extra mile for our customers, every time. Whether you’re searching for a new car, need a tire rotation, or are interested in trading in your vehicle, we know we can help. Call or come visit us today. Contact us online, and we’ll gladly return your inquiry the exact way you request. I am a born and raised Bandera boy. My family has been in Bandera since 1857. My great grandfather acquired the First National Bank of Bandera in 1922. He traded its owner a large number of mules for it–that’s right I said mules. My family was in the mule business in San Antonio in the early 1800’s and sold mules to Fort Sam for the U.S. Army. My family still resides in Bandera, with lots of aunts, uncles, cousins and a few Grandparents. My parents own The Cowboy Store in Bandera and have for 32 years. My Mom started the business on her own; she is one of my heroes! My wife Chris Montague and I have been married for 22 years. We have three fantastic kids, Juliette a freshman at UTSA; Madeleine a sophomore in high school; and Jimmy an eighth grader. We are very active in our church and community. Downtown San Antonio at night is one of my favorite places on earth. Come in and allow us to make you the newest member of the Boerne Dodge Chrysler Jeep Ram family! Our team at Boerne Dodge Chrysler Jeep Ram would like to thank you for visiting our website!